I'm excited to see what you find out... we need more people taking chances to track down these unknown items! No worries, Ron. I can't express enough gratitude for the support I've gotten from you and the rest of the bot building community thus far. Also, I found a part that looks like the lens. I'm not going to say that I'm sure it's the one though. It certainly looks like a decent substitute if anything. Do a search on "1973 fisher price rock-a-stack" and let me know what you think. 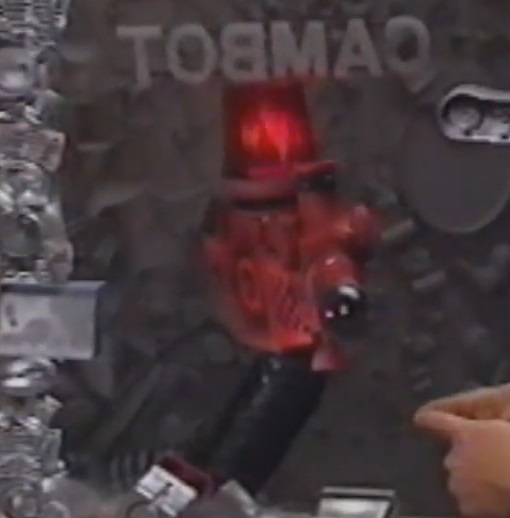 Cambot Season One Eye = Hasbro Skedoodle? Those car seats are pretty big... they dwarf the Skedoodle's "screen." Also, I found a part that looks like the lens. I'm not going to say that I'm sure it's the one though. It certainly looks like a decent substitute if anything. Do a search on "1973 fisher price rock-a-stack" and let me know what you think. Very much looking forward to what you find with the doll body and this lens candidate. Lucky! Sorry for not following up with you guys on cambot. It turns out that Ron was right, but the substitute parts I have are REALLY close and they're all vintage (except for one). 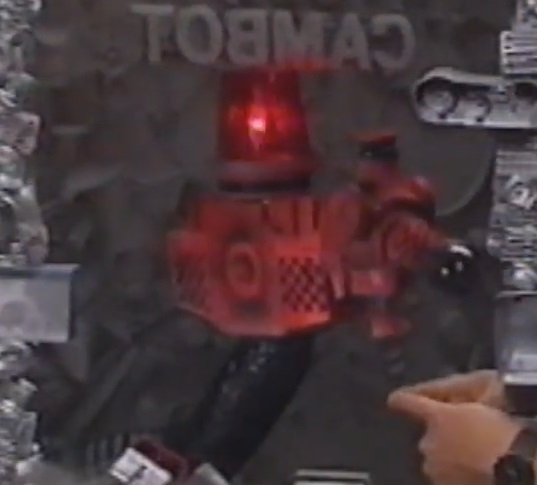 So at least I can say that these alternate parts existed in the 80's and could have very well been used if he had to. This is what I have so far. No stand with hose or electrical wires connected, just the body. Excited to see the progress you've made. It looks better with every update! My god I love your cambot. I want to make a KTMA cambot BADLY because I just love how he looked. If I could just figure out what the doll seat head was, I could probably improvise the rest. I even have a bunch of bowling pins left from my Crow build to make his googly eyes. Thanks! Yeah, I've been doing a lot of research and there are so many different things that it looks like it could be. Booster seat of some kind is my best guess so far.